Home » Zagreb, 14 December 2010. 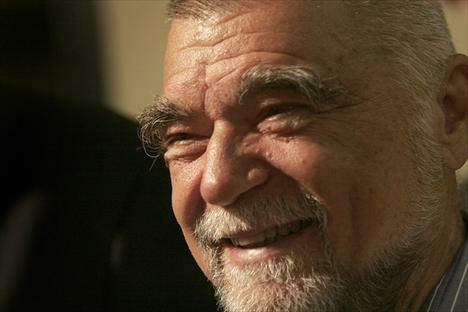 Former President Mesić held separate meetings with Ambassadors of Israel, Spain and Egypt at their request. Manuel Salazar, who will be leaving Croatia soon, stated that he will always have fond memories of the five years he spent in Croatia, four of which were during the second term in Office of President Mesić. He said that he is pleased with what he was able to achieve for the development of relations between Spain and Croatia, and he also highlighted the role his country played in assisting Croatia to become part of Euro-Atlantic integrations. Per ambassador’s inquiry, former President Mesić provided his opinion of current Croatian affairs, and mentioned that Ambassador Salazar assumed his duty at a time when rule of law was just a phrase and that now it is becoming apparent and starting to function. Commenting on the situation regarding the former Prime-minister Sanader, Mr. Mesić said that he tried to keep him within the framework of his constitutional powers, but – without success. “During Sanader’s time Croatia had, just like during the war, two chains of command. One of them involved legitimate government institutions, while the other used ‘commissioners’ that were precisely positioned on specific key political and economic positions,” said the Former President. Ambassador of the state of Israel, Yossi Amrani, had a detailed brief on current relations between Israel and Croatia, as well as on the state of affairs in the Middle East from Israel’s perspective. He highlighted the fact that bilateral relations have been on a constant rise in the past year and a half, which was caused by the fact that Israel’s foreign policy has shown greater interest for the region and the countries in it. A proof of that is best seen in the fact that as of the day the ambassador’s meeting with the former President took place there is a special department for southeast Europe in the Israeli Ministry of Foreign Affairs. As far as the situation in the Middle East, the Ambassador assessed that it is stagnating, that there is no progress in the negotiations and that there is a tendency to make decisions ahead of time– thus making them pointless. An additional problem is that the Palestinians are divided on those in Gaza under Hamas’ governance and those on the West bank of Jordan who are – as he said – developing economically and basically functioning as a state, although independence has not been yet declared. Former President said that a solution will eventually have to be reached through negotiations and added that it would be misguided for either side to enter negotiations with a belief it will achieve all of its goals. “Compromises are necessary and both sides must be ready to make them,” concluded Mr. Mesić. Ambassador of Egypt, Eman Mohamed Zaki Moharram, conveyed that Egypt was pleased with the recent official visit by Prime-minister Jadranka Kosor to their country and assessed that it opened new perspectives for economic cooperation between the two countries. She described the relations between Cairo and Zagreb as excellent. She also said that during his talks with the President of the Croatian Government, President Hosni Mubarak asked to convey his greetings to former President Mesić, and he also remembered his successful visit to Croatia during the latter half of the previous year. Ambassador Moharram also discussed Middle East affairs. She stated that Egypt is doing everything in its powers to help overcome the division between the Palestinians and she expressed moderate optimism regarding this issue. She also warned of the dangers that using double standards causes, and added that they have a very negative perception among citizens of Arab countries.